The Syrian army and the National Defense Forces (NDF) liberated the villages of Qasr Al-Hayr and Ba’er Fiddah east of the city of Al-Qaryatayn in the province of Homs on Wednesday. On Thursday, government forces continued offensive operations, targeting ISIS units near Al-Bardah. If the army and the NDF seize this town, they will likely further develop an advance in the direction of the al-Busairi crossroads in order to secure the eastern flank of Al-Qaryatayn. Reports appear that the army was able to link up the Deir Ezzor Airbase and the government-held area north of the Panorama Army Base with a thin supply line after a series of successful clashes against ISIS units. However, the supply line remains vulnerable for ISIS attacks. So, if government forces want to stabilize the military situation in the pocket, they will need to epand a buffer zone around it. 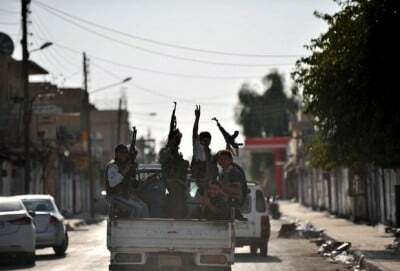 The so-called Syrian Democratic Forces (SDF), in other words the Kurdish People’s Protection Units (YPG), announced Wednesday the 3rd phase of the Operation Wrath of Euphrates, aiming to liberate the ISIS self-proclaimed capital of al-Raqqah. While the general goal of the Operation Wrath of Euphrates is to liberate al-Raqqah from ISIS terrorists, the aim of the 3rd stage is to further isolate the ISIS-held city. YPG forces, backed by the US-led coalition, will most likely develop and advance east of al-Raqqah in order to flank the city from this direction. There are also speculations in pro-Kurdish sources that the YPG is going to cross the Euphrates and to retake the Tabqa Dam and the town of Tabqa from ISIS, further flanking al-Raqqah from the southwestern direction. However, this looks as more complicated task.